What better way to make your first impressions than with this exquisite grey mother of pearl telephone table adorning an entrance hall. 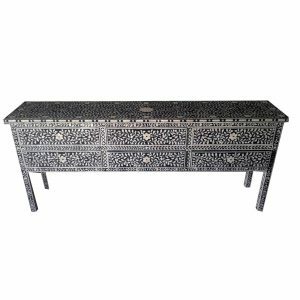 While away the happy hours on the phone with oriental imaginings and rest in the plush, ornate landscape of the eastern hemisphere to live a life less ordinary while you conduct business. 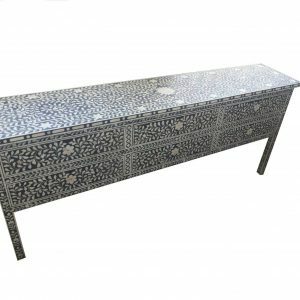 This mosaic table is generously equipped with multiple spaces for storage and stacking so all those useful documents and memos can be close to hand. 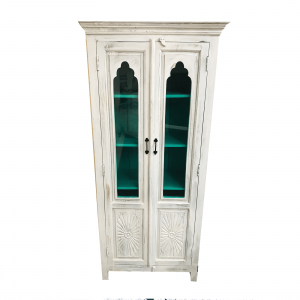 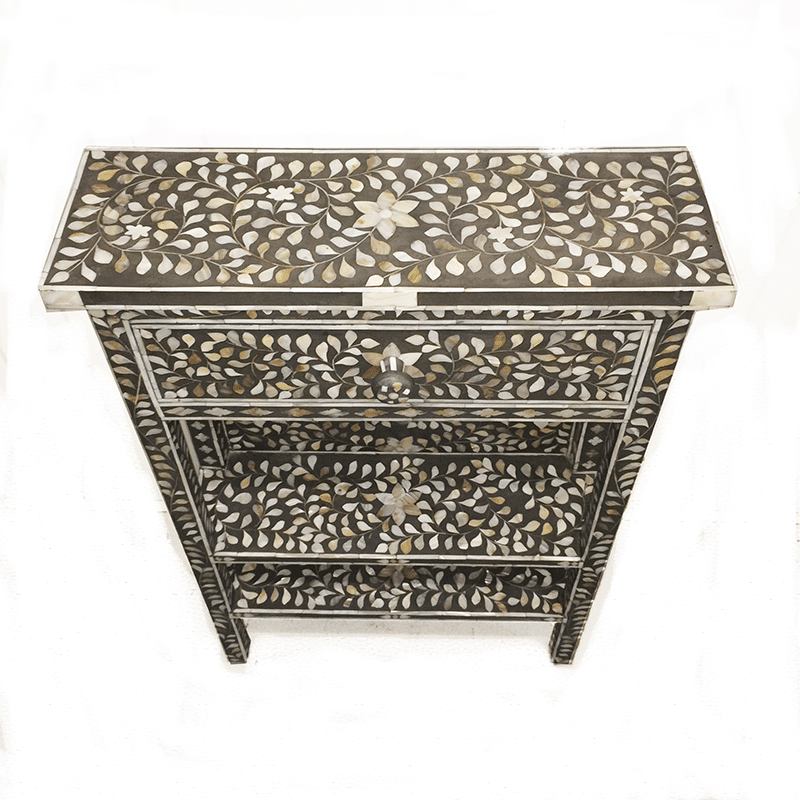 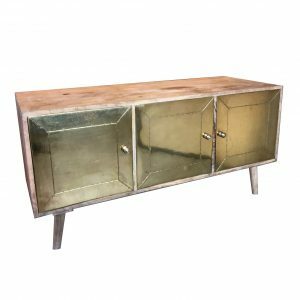 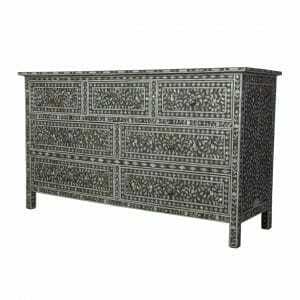 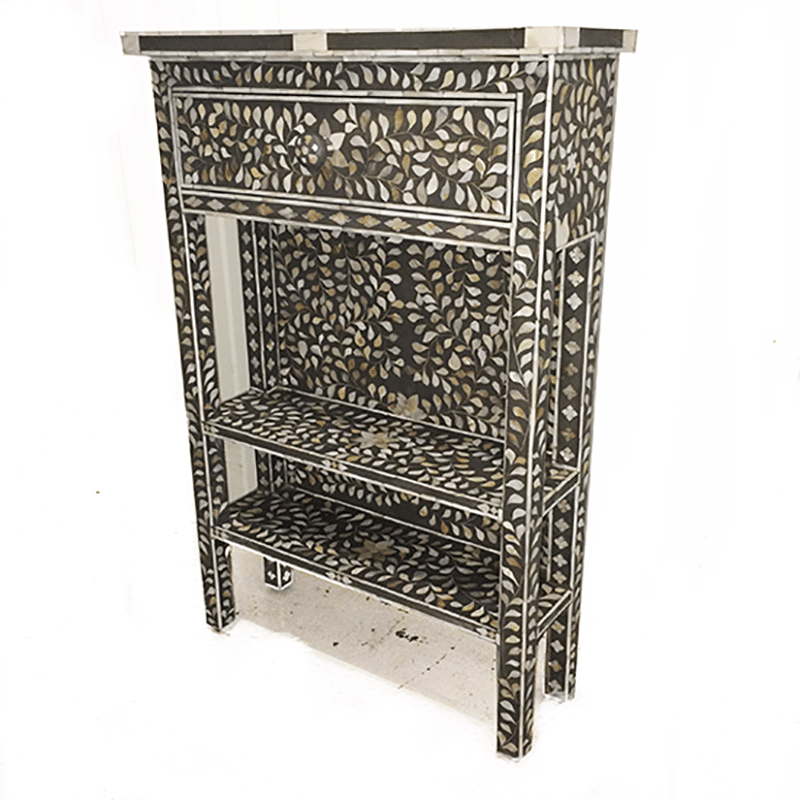 In stunning mother of pearl inlay, the oriental dresser can fit snugly into just the right spaces, with toned down grey mother of pearl making a harmonious complement to almost any decor. 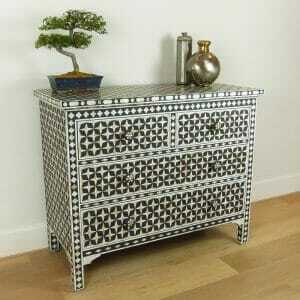 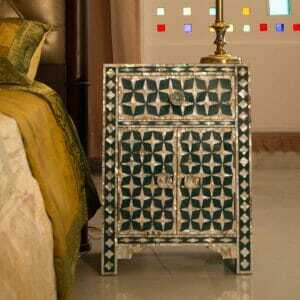 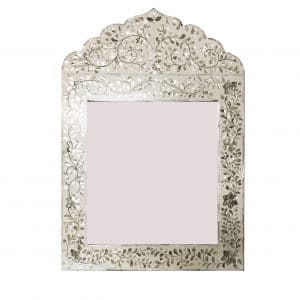 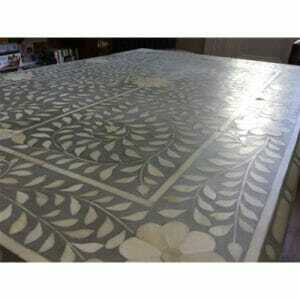 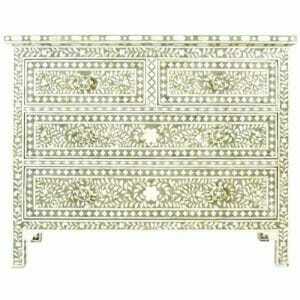 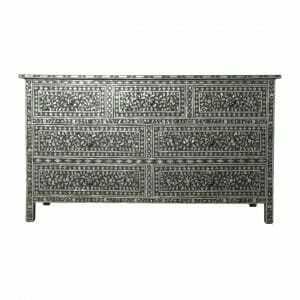 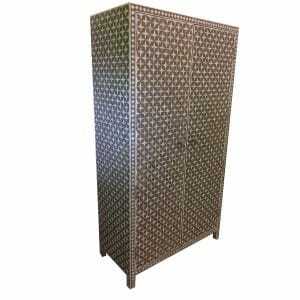 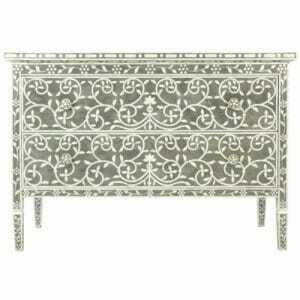 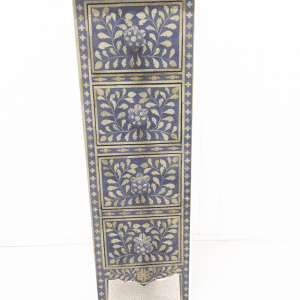 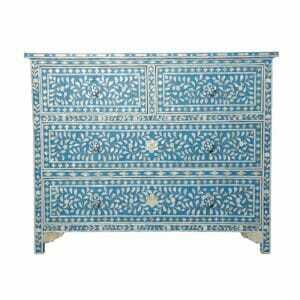 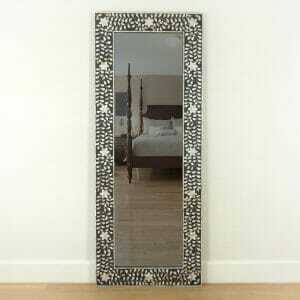 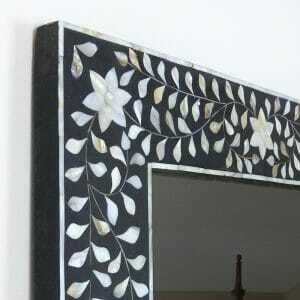 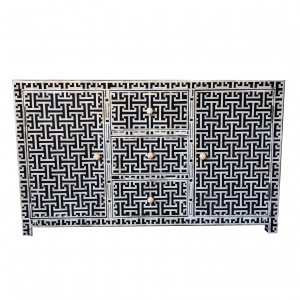 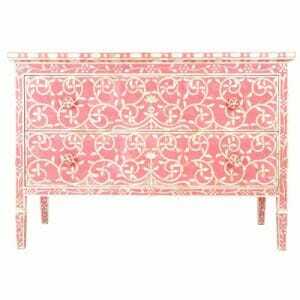 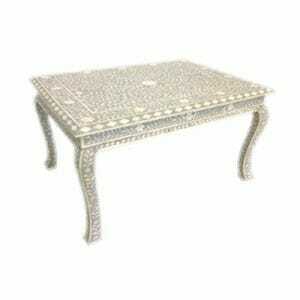 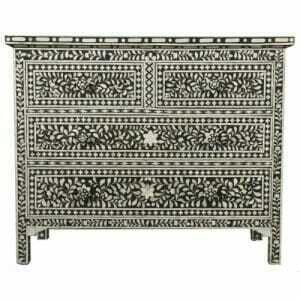 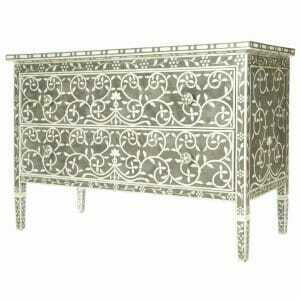 Why not adorn your inlay table with the mosaic mirror, or match it with an oriental coffee table. 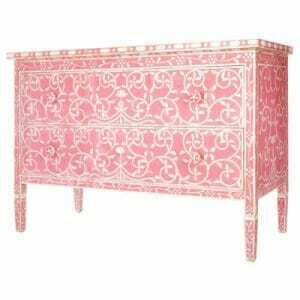 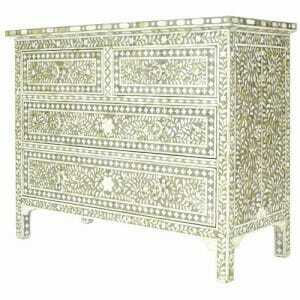 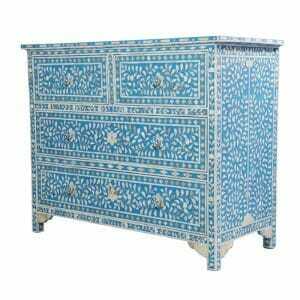 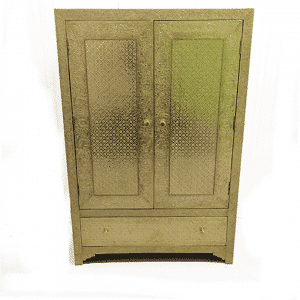 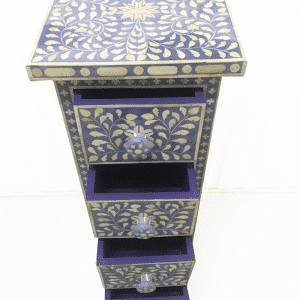 Sympathetic bedroom furniture can look particularly fetching, and setting a chest of drawers with a mother of pearl bedside table dusts the room with sparkle while keeping the neat, sophisticated tone of Rajasthani artisan craftsmanship. 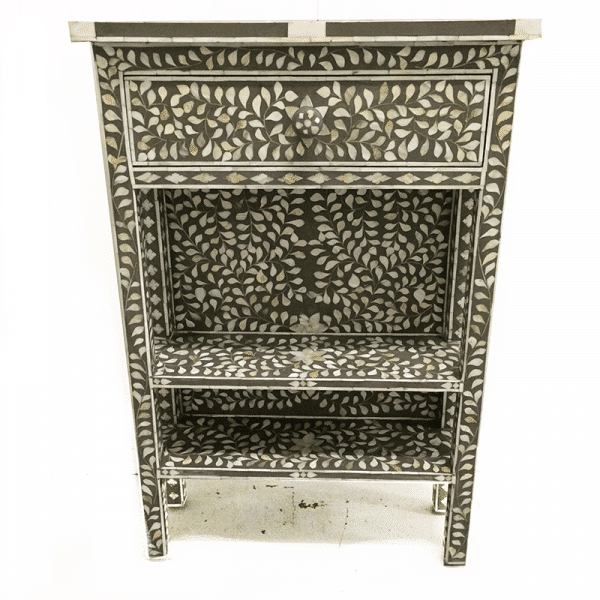 Remember, if you don’t see exactly what you’re looking for, tell us and we can help you design your perfect bespoke piece of Indian furniture at no extra cost. 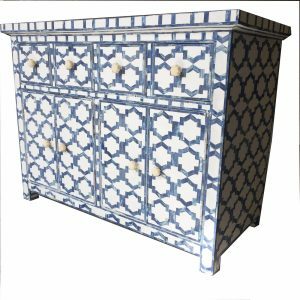 We at Iris Furnishings work closely with our artisan colleagues and can vouch for not only fair working conditions and wages but also sustainably sourced hardwood and materials of the highest quality. 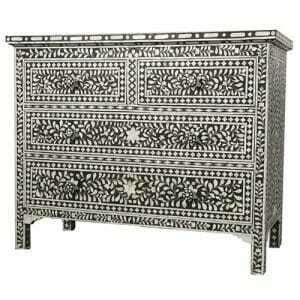 Our furniture is crafted with care by well trained hands that are keeping alive the finest traditions of royally endorsed arts. 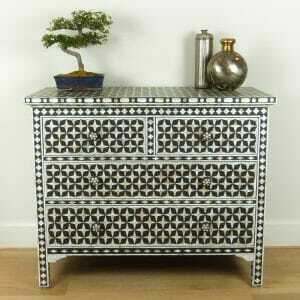 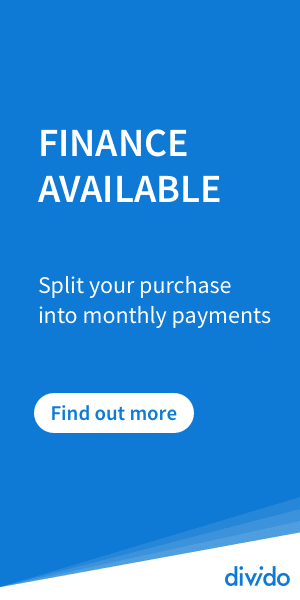 When you buy furniture with us you are contributing to their flourishing continuation.